Our clothing and accessories have the power to uplift our mood and outlook. This is why it is very important to choose our attire carefully. Our clothing and accessories not only influence our personality but are also instrumental in creating our impression in front of others. You can make a big difference in your personality just by adding a few accessories like silk scarves or by wearing clothes made of smooth fabrics like silk chiffon. Let us have a look at the top reasons why you should include these fabrics in your wardrobe. It is no secret that silks have been traditionally used for making a variety of clothes. 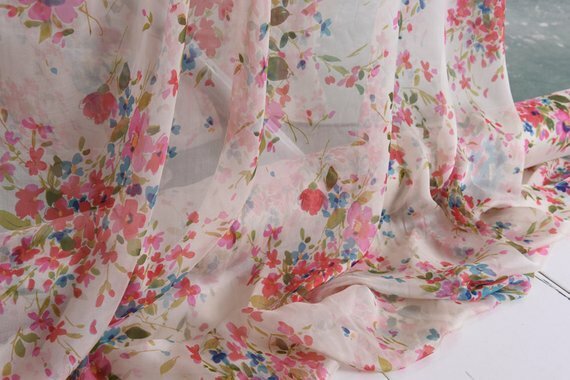 Silk fabric can be used for making formal and casual attire. Different types of clothing can be made from these fabrics, ranging from flowing gowns to elegant blouses, and from casual and flirty dresses to chic shirts. The sheer versatility of silk makes it a must-have in your wardrobe. When you talk about silk, you imagine a shiny and luxurious fabric. The extremely smooth texture of silk makes it ideal for your skin. For example, clothes made from silk and silken fabrics will be very soft to touch and will not cause any friction on your skin. This smooth texture also makes the fabric very easy to work with. This is the reason why we see so many beautiful designs of dresses, gowns, and blouses made of silk chiffon. In fact, most of the elegant red-carpet-worthy dresses are made from this fabric because it immediately catches the eye. Contrary to popular belief, silk and silken fabrics are not difficult to maintain. This is because silks have a high tensile strength and the garments made from them retain their shape and texture if washed carefully. They are lightweight and thus, easy to handle and store. In addition, they are pretty elastic and do not get creased and crumpled easily, making them ideal for packing during travel.